When it’s time to sell or buy a home The Krickeberg Group is here to help. Below you will find answers to common questions about our team. If you have a specific question please ask us using the form on the right side of this page. You can directly contact one of our team members by clicking here and can meet our team by clicking here. Service area: Our team is licensed to sell real estate anywhere in the state of Wisconsin. Anything within 1 hour of Milwaukee is our speciality. 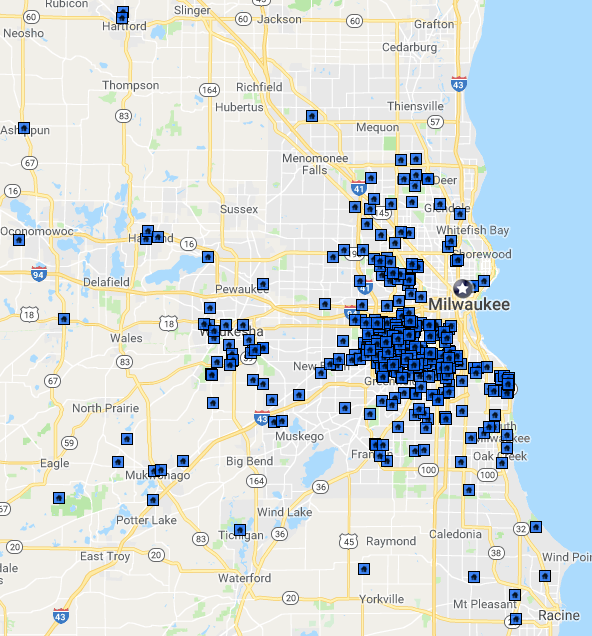 This includes all of Milwaukee and Waukesha counties plus as far as West Bend, Hartford, Ashippun, Summit, Eagle, Delavan, Lake Geneva, Racine, Kenosha, Pleasant Prairie and anywhere in between. Property types: We specialize in helping clients and customers purchase and sell residential real estate. This includes single family residences, condominiums, multi-family properties up to 4 units, and vacant land. We help traditional sellers and buyers as well as investors, estates, first time home buyers, relocation, military, and senior citizens. Reviews: Our team works extremely hard to create a client for life from every interaction. You can click here to see past sales and client reviews. Performance: We consistently rank among the best in the state in total transactions among RE/MAX teams. Since the beginning of 2017 we have helped buyers and sellers successfully close on over 400 homes worth over $67 million. For 2018 the median transaction sides closed per agent on our team was 46, more than 6x the average agent. Our team is anchored by one of the strongest brands in real estate and is affiliated with the #1 RE/MAX franchise in Wisconsin, RE/MAX Realty 100. The members on our team have combined for over 1,000 career sales worth $182 million. Team approach: Many solo agents can quickly be overwhelmed by the demands of the business and the needs of their clients. All of our buyers and sellers have access to five agents and two support staff to ensure needs are always met and a beat is never missed. You could say it’s seven for the price of one!